A street in southern Seoul will be transformed into the center of “hallyu,” with facilities to be set up to promote Korean Wave stars and provide fans with more chances to experience Korea’s pop culture. Officials of the Gangnam-gu Office said Thursday the southern Seoul district will form a “Hallyu Star Street” in Cheongdam-dong as part of efforts to attract more foreign tourists. The district has been previously famous for being the magnet of trendy fashion and beauty therapies. Recently, it has become apparent that a growing number of patrons visit the district for the additional purpose of seeing the myriad of entertainment agencies clustered there, notwithstanding the limited chances of encountering hallyu stars. There are more than 150 agencies in Gangnam. 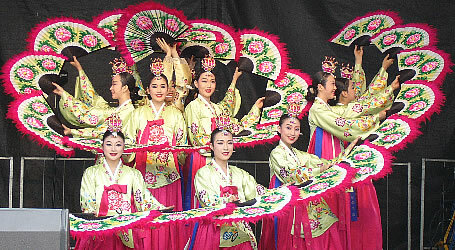 “The trend has been bolstered by the sensation of Psy’s Gangnam Style, and we are receiving scores of inquiries from foreigners about arranging tours to the district. With the street, we hope Gangnam will become the center of hallyu tourism,” a district official said. From the end of this year to 2015, the office plans to set up various facilities along the 1.08-kilometer-long curved street running from SM Entertainment headquarters to Cheongdam intersection and from the intersection to JYP Entertainment building. As a first step, it will establish a statue symbolizing the Hallyu Star Street in front of SM Entertainment, the starting point of the street. “It can be a statue of some stars or an abstract image of Korean Wave. We haven’t decided yet, but intend to erect it within this year,” the official said. For the second stage next year, a section of the street will have special paving stones with stars’ handprints on them, like Hollywood’s Walk of Fame. In five alleys of the district, stars’ photos will be posted on boards on the wall and fans can leave their messages for their favorite entertainers on them. “Information poles” will be also set up along the street. Similar to those in Gangnam Station area, the poles with screens will offer a map of the area, information about Korean entertainers and tourist attractions in the district and nearby. The ward office will set up five of the poles first and build more if needed. Large screens called “Media Facade” will be set up on the outer walls of several buildings at the corner on the Cheongdam intersection. “In the section, we want to create the image of electronic signs and screens like at Times Square in New York. Singers’ music videos and other promotional video clips of stars will be shown there too,” the official said. A “Hallyu Square” will also be designated at the end of the street facing the JYP Entertainment building, where concerts and other performances can be presented on a small-scale stage. 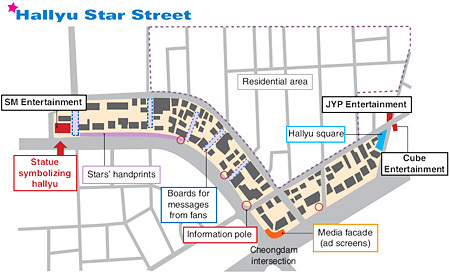 As the third step, the district office plans to link the Hallyu Star Street with nearby tourist areas of Apgujeong-dong and Garosu-gil, which are accessible from the street on foot. It is constructing a tourist information center near Apgujeong Station, scheduled to be opened in February. The center will offer information about hallyu stars as well as medical tourism, which has also become popular in Gangnam where more than half of Seoul’s plastic surgery and skin care clinics are located. 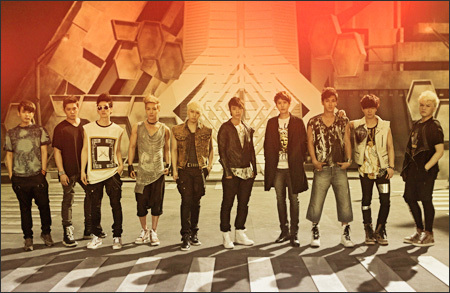 Expanding the hallyu tour to other types of tourism is the final stage of the plan. The ward office will design three tour routes under three different themes: a Korea Fashion Street, a Beauty and Well-being Street and a Green Tour Line. The hallyu street will be parts of the fashion street that is stretched to the east wing of Galleria Department Store. Flagship stores of luxury name brands are on the fashion street. The beauty street route includes restaurants in Garosu-gil and nearby beauty clinics. The green route features Dosan Park. “We estimate a range of between 10 billion won to 20 billion won for the whole project. We’ll seek private investors and state subsidies for this,” the official said.